Customer experience is the key to business success today. 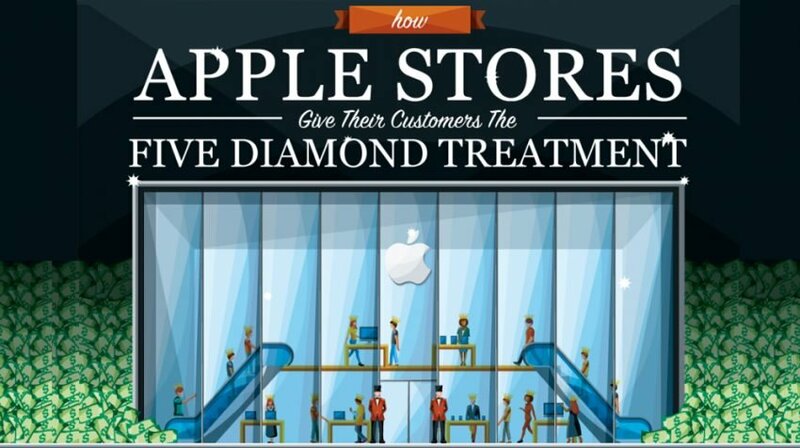 A new infographic by Hospitality Management Degrees looks at how Apple Stores are outperforming the competition by giving the customers the five diamond treatment. According to the infographic, Apple customer loyalty rate has reached 90% in 2018. Apple was able to achieve this rate by making a concerted effort in the customer experience department before opening the company’s first store and has continued this focus with each new retail outlet it opens. While Apple possesses tremendous resources, delivering a memorable customer experience doesn’t take a lot of money. For example, small businesses have a clear advantage when it comes to providing a more personalized experience. The difference in the number of stores Apple and Best Buy operate highlights how being smaller can be better for providing this superior customer experience. Apple has 270 stores compared to Best Buy’s 1,332, but it makes more money per store than the giant electronics retailer. While Apple makes $35,899,000 per store, Best Buy makes just $34,223,000 per location. Verizon and AT&T also run more retail outlets with 6,839 and 2,004 stores respectively. But Verizon makes just $17,515,000 from its retail locations and AT&T just $13,435,000. So the question is how Apple stays on top year after year — despite having fewer actual retail locations than competitors. When Apple decided to open retail stores, it sent its store managers to attend the Ritz-Carlton hospitality training. The Ritz-Carlton credo highlights the importance the hospitality chain places on delivering the best possible customer experience for its clients. Ritz-Carlton says its highest mission is the genuine care and comfort of its guests while pledging to provide the finest personal service and facilities. This includes fulfilling even the unexpressed wishes and needs of its guests. Every time a guest walks into one of the company’s hotels, a three-step service is delivered including a warm, sincere greeting; anticipation and fulfillment of the guest’s needs; and a fond farewell using the guest’s name. When a customer walks into an Apple Store, they are welcomed and sent off with a warm smiling greeting. And as much as possible every employee knows and uses the customer’s name. 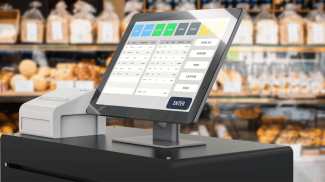 Additionally, the stores offer the ability for customers to schedule visits, try to simplify the checkout process with mobile credit card readers and make an effort to reduce customer wait time. This has led other retailers to copy the Apple model. US consumers will take their business elsewhere if they experience bad employee attitudes, unfriendly service or a less than knowledgeable staff, the infographic insists. For 17% of customers, a single bad experience is enough to make them leave even a beloved regular brand. Another 59% might accept several bad experiences before they find somewhere new, the infographic says. 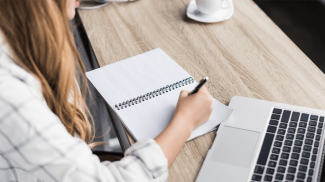 For small businesses, these are all things to consider when working to provide the excellent customer experience consumers demand. You can take a look at the infographic below to see what you can do to improve the customer experience of your business. It is really all about satisfying the needs of the customer. There should be an outward focus instead of an inward one. There is a reason why Apple continue to be a top brand. It is because of their care for their customers. There is hardly a business that fails from this customer oriented mindset. Apple continues to be considered as a top brand and it is not just about Steve Jobs, it is also about their top notch customer service. Apple strives to bring the best personal computing experience to students, educators, creative professionals and consumers around the world,Simply the best hardware and software ever.